I am so excited to announce that the 5th, and final, book in the Funeral Singer series, A Song of Redemption will be released on Monday, October 22nd. I’ve loved working on this series, and I think the final book is an explosive and exciting wrap-up to Gillian Foster’s story. When a horrifying attack on her friend brings the problem home leaving Gillian’s life in turmoil, she struggles to control the damage. Working with Orielle, the anthropologist, who is an expert on supernatural creatures, they soon find support from an unexpected source—the Vatican. The path ahead is clear; the tasks to be done defined. Now all Gillian has to do is execute them and stay alive. The Kindle book is now listed for pre-order at 99-cents on Amazon. To celebrate the release, I am putting all five of the Funeral Singer books, including this new one, on sale for 99-cents each. It’s a great time to pick up the set for a total of $4.95. The books will be at this price from October 22 to October 24. Once this novel is out, I will be prepping for this year’s NaNoWriMo and getting my plot lined up for a new book. I have two ideas that I am trying to narrow down for this project, and I am excited about both. More on that after I get into the writing. I have two books that are in the editing process right now. One is a related book to O’Ceagan’s Legacy, which is to say it’s in the same universe but features one of the supporting characters in the book. That book is In Strange Waters, and I plan to release it in January 2019. Look for more information in December. It’s a little different from O’Ceagan’s Legacy, but it is a fun read with a different viewpoint. The other book is Time Walker, a fantasy novel that combines time travel with a touch of Steampunk. The planned release date for it is in May 2019 to coincide with the Book Lovers’ Convention in New Orleans. The story combines adventure and a bit of romance… But look for more about that in March 2019. Wow! I can’t believe I haven’t posted anything since April when I released “A Song of Forgiveness”. I have been busy these past few months though and I am in the final stages of the fifth book of the “Funeral Singer” series, “A Song of Redemption”, which is now planned for release on October 22, 2018. This will wrap up that series so I hope you’re ready for it to end. I’ve loved writing Gillian’s adventures, but I have other projects I am eager to work on also. One of them is a new book that I wrote this summer that involves time travel and a touch of steampunk. It’s a fun story and I had a great time with it. In May, I went to a master plotting workshop with Cherry Adair and came out with lots of tips, ideas, and a novel almost ready to be written. In July, I made it my summer Camp NaNoWriMo project and completed the first draft. I’m ready to begin the first round of edits now. At this time, I am anticipating a late Spring release. 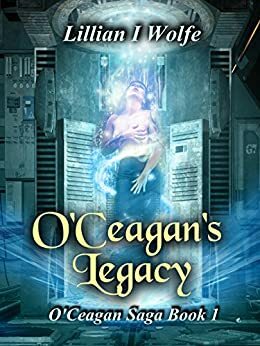 Another book that needs to be edited is set in the same universe as “O’Ceagan’s Legacy” and explores the Erinnua home world through they eyes of a new arrival. The story is written and ready to edit. I just need many more hours in my days. More on both of these projects later. For now, I’d like to tell you about an exciting book promotion that starts today – September 6th – to coincide with National Read a Book Day. Several of our Nevada authors have gone in together to promote our books. If you’re looking for a new read, check out these books. To learn more and find links to the individual books, click here. Until next time, enjoy the fall weather coming soon. Or if you’re south of the equator, spring is on its way. Either way. there should be lovely days ahead. I update this again soon with more information on the new novels. My latest Funeral Singer book is out and available now at Amazon in both Kindle and paperback! So excited about this third installment in the series. Things are really heating up for the funeral singer now. Called A Song of Betrayal, the story continues singer Gillian Foster’s interactions with the recently departed in the ethereal cemetery as she confronts a murder victim. Zoe Sarkis’ husband killed her and fled the country. Now, she’s refusing to cross over until he is found and brought to justice. Complicating Gillian’s task of helping Zoe, she is also facing an increasing number of ghoulish figures called shades. Can Gillian help find the missing husband and learn to deal with the shades? A Song for Betrayal is available now in paperback and Kindle from Amazon.com. You can also read it for free on Kindle Unlimited. Take a look at my launch page for more information and links. If you’re in the Reno Nevada area, Sands Comic Con is happening this weekend, September 23 & 24. I will be there both days to talk to folks and sign books at the Pynhavyn Press table. Joining me, both at the table and in a panel on Saturday, is Margaret McGaffey Fisk (Steamship Chronicles) who will also be happy to chat and sign books. Our panel will be at noon and we’ll be discussing Immortality as Seen by Hollywood. This panel excites me as I love talking about how most of the programs that have immortal characters tend to slant it negatively. As a longtime Highlander the Series fan, I’ve definitely had discussions with people on this before. So, if you’re in town, come on down to the Sands and join us in this discussion. I know it’s been a while since I sent an update to my blog. Bad me. But I have been busy with writing and rewriting. That’s the good news. The bad news? I’m behind on my planned schedule, particularly on the book I am reworking. Let’s start there. I’ve been fighting my way through Dew Dropping Hour, my first YA novel and there are parts of it that are great and parts that just don’t quite flow the way I want them to deliver. So, that is still in the works and way behind my original time frame for the novel, but better to take the extra time and get the best book I can do, I believe. Since this is the first book of a trilogy, I really want it to pop! Don’t you agree? I’ve started working on my third book in the Funeral Singer series, called A Song of Betrayal and I’m excited about this story. While it follows the main story line with a murderer to catch, this also begins to focus more on the through story as Gillian encounters more of the dark spirits and that story line begins to heat up. So far, I’m at Chapter 18 of the first draft and expect it to be about 24 or 25 chapters, so I am getting close to the end of the first draft. I hope to have it done by the end of May, but we’ll see how that goes. If all things, including beta reads and editing, go well after that, I am hoping for a September release on it. Battered, bloodied, and angry, the petite woman glared up at me from a crouch on the ground. A clotted slash of blood tore across half of her throat and her light blue silk nightgown bore a ragged, crimson hole where a bullet had ripped into her chest. Her walnut-colored eyes blazed with fury as her nostrils flared like an angry bull’s. “What is this place?” she asked. I wasn’t her enemy, but that mattered little at this moment. Echoing at the edge of my awareness, I heard the melody and indistinct words that my physical self back in the chapel sang for her, but my full attention focused on this distraught victim of a horrible murder. Her appearance mimicked the way the Reno police had found her, not the pristine version of the body lying in the coffin for family, friends, and curious gawkers to view before they tucked her away forever. The other exciting news on that front is that I have a cover that I think works well in the set and here it is, a first look! My covers are all independent-looking rather than following a specific theme and that may not tie them together well. Is a tombstone on each cover enough? Let me know what you think. I had a great time at the Reno Earth Day Celebration. It turned out to be a lovely day in the Biggest Little City although spring is an ephemeral, but recurring season in Northern Nevada, Margaret McGaffey Fisk and I talked to lots of nice people and we hope some of them will check out our books. Ok, I want to include you on a little giveaway I have lined up. I am really trying to get reviews on both Funeral Singer: A Song for Marielle and A Song for Menafee as well as for O’Ceagan’s Legacy. Reviews are one of the hardest things to get it seems and I know some people are reading them and downloading copies. But I only have 11 reviews for A Song for Marielle and 3 for Menafee. About the same for O’Ceagan’s Legacy. So here’s what I’m trying. I will give away a $25 Amazon gift card to one lucky person who posts a review on one of those three books. Of course, I need to know who you are and when you posted in order to enter you in the drawing, so if you write a review and let me know, I will include you. And, if you are willing to read and write an honest review, I will even send you a code to get a free copy. Just email me at lily@lillianwolfe.me and ask for the code for whichever book you want to read and I will send you a code at Instafreebie that will allow you to download a book in the format of your choice. So, you get a free book and a chance at a gift card. It’s a win-win for you no matter how you look at it. The gift card will given away on August 31st, 2017, so that’s over three months to read a book and review it. How about helping me out? Until my next update, thanks for reading this and have a great summer!